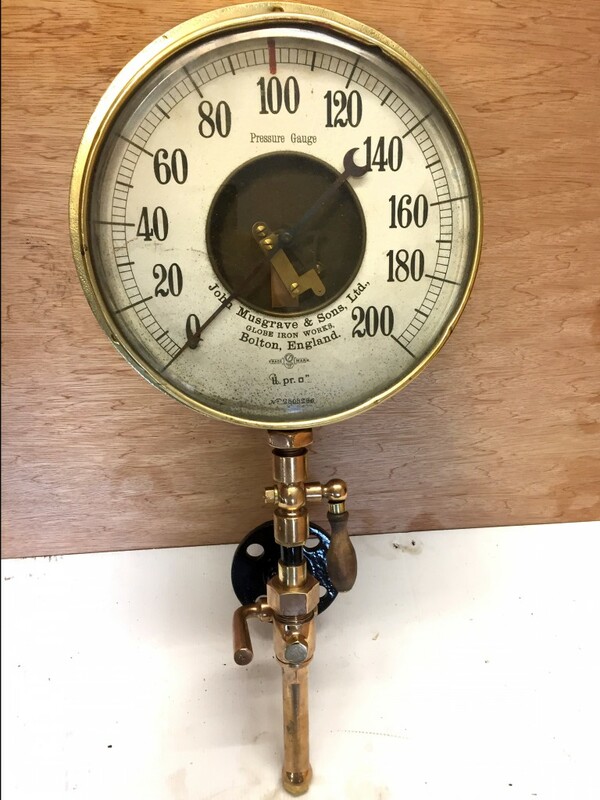 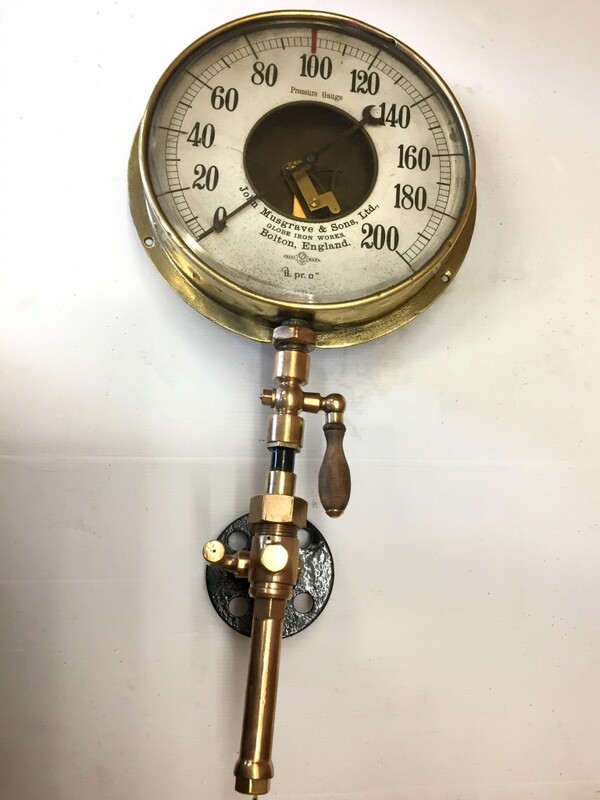 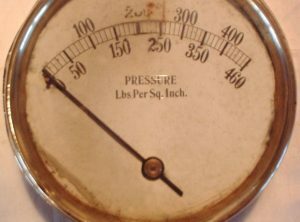 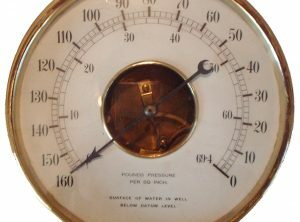 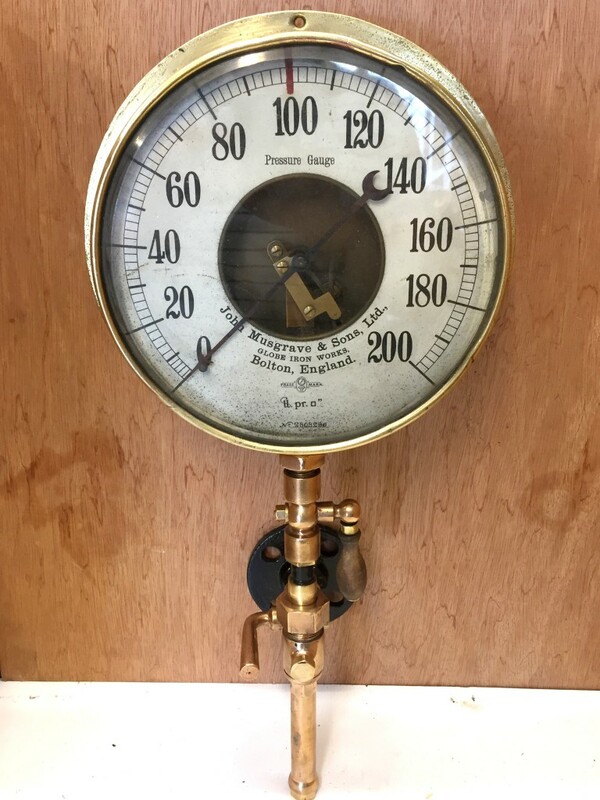 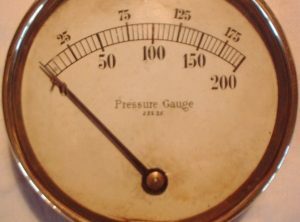 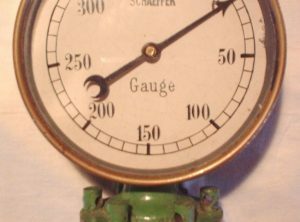 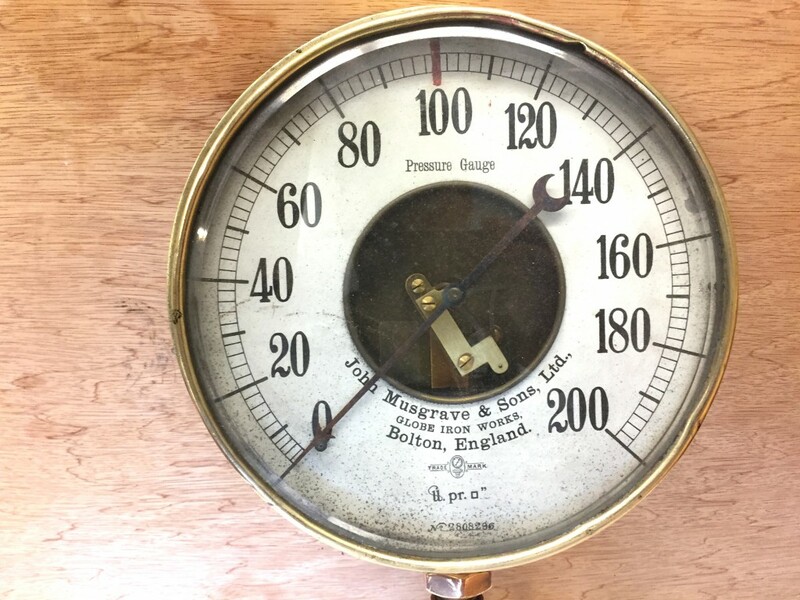 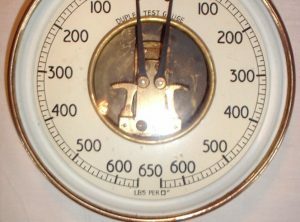 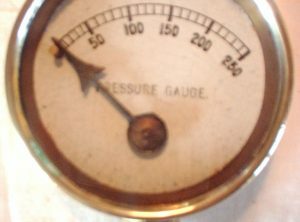 0 – 200 lbs steam pressure gauge. 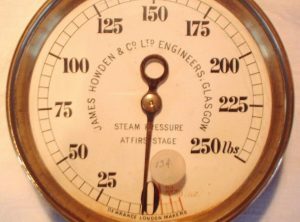 By John Musgrave & Sons, Globe Iron Works, Bolton. 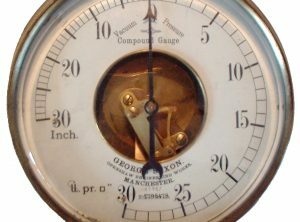 Eccentric dial, in flangeless brass case.